*Pleas tell us what car and what caliper your using? 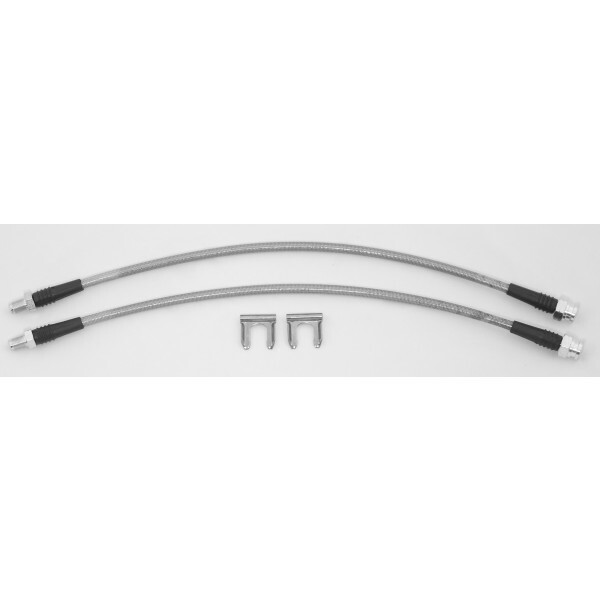 These steel braided brake lines are custom made to fit our brake kits for easy installation. These brake lines are government DOT approved. They are steel braided with a layer of clear lamination to prevent expansion of the line under pressure. Come in pairs of two. Will fit any stage 3 and 4 kit sold by silver mine motors. These can be made to any specifications per customer request for the same price.